Grant is leader in manufacturing clothes and accessories for children. 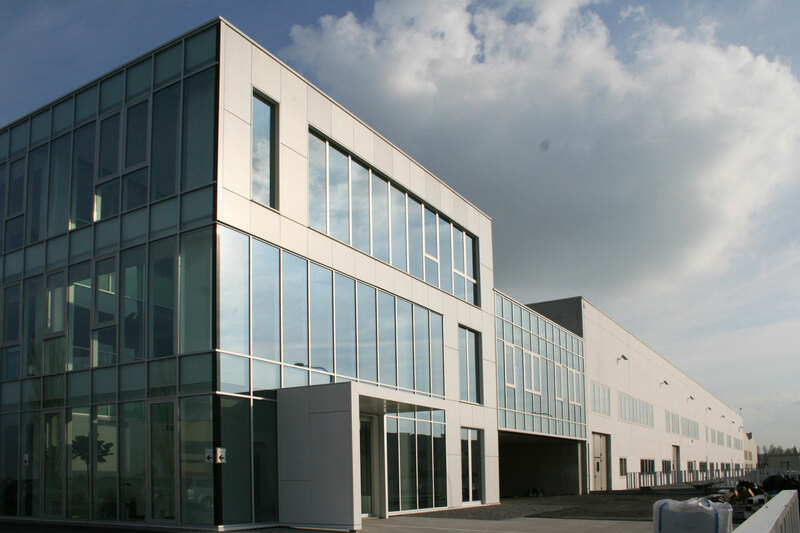 Their new headquarters in Bentivoglio (15 km north of Bologna) spanning over 9200 m2 (offices and logistic) and the complex is composed of two main buildings (both white) featuring different materials and transparent/ opaque ratio. The productive building is a rectangular volume in which the typical linear windows are reshaped in a modern and dynamic composition. The office building is developed along the west-east axis and it is characterized by a different treatment of the facades to optimize natural lighting and reduce solar gain.